After hearing its first play on Zane Lowe’s Radio 1 show at 7.30pm on Tuesday night, The Enemy released their new single ‘Gimme The Sign’ as a free download to fans through their Facebook and website. Premiered at their homecoming gig in Coventry last Thursday night, ‘Gimme The Sign’ is a taste of what is to come from the band’s new album ‘Streets In The Sky’ released this Spring. Produced by The Bronx’s Joby J. Ford, ‘Gimme The Sign’ is much heavier than The Enemy’s earlier sound whilst also leaning towards the anthemic sound of their first album ‘We’ll Live And Die in These Towns’. ‘Gimme The Sign’ couples Tom Clarke’s signature chanting vocals with strong, forceful drums and heavily confident guitars. It’s catchy and is a massive live track just made for crowd surfing. 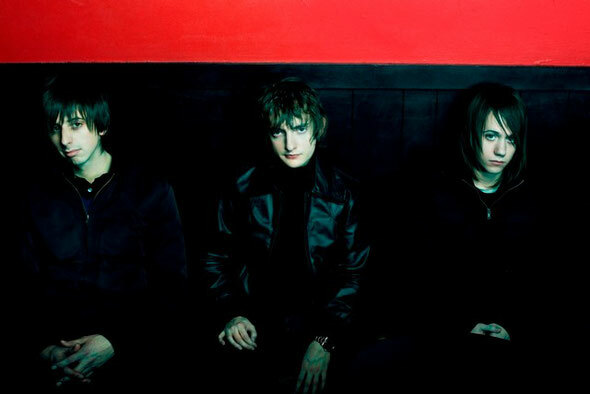 The Enemy formed in hometown Coventry in 2006 by three friends; Andy Hopkins (25, bass), Liam Watts (24, drums) and Tom Clarke (24, vocals/guitar). Their first single ’40 days, 40 nights’ sold out all 1000 copies of its limited edition 7” in less than a day and signalled the start for The Enemy. Their debut 2007 album ‘We’ll Live And Die In These Towns’ charted at #1 selling over 600,000 copies with big singles ‘Away From Here’ (Top 10) and ‘Had Enough’ (Top 5) gaining the band an army of fans. Their second album ‘Music For The People’ was released in 2009 and charted very strongly at #2 with hit ‘Be Somebody’ continued to be used on ITV’s FA Cup coverage.